Here I list the 10 easy-going dog breeds. If you are just planning to pet one of them, read on to find more. Known for their gentle disposition, lovable personality and signature wrinkles, the Bulldog is one of the most popular breeds of dog, according to the American Kennel Club (AKC). With a medium-sized body and strong, sturdy build, Bulldogs may not be able to fit in your lap but are content relaxing by your side any hour of the day. Gentle and protective, they form strong bonds with children and are known for being excellent family pets, according to the AKC. Bulldogs require minimal grooming and exercise and prefer to stay indoors or in the shade in warm weather because of their flat, short noses. A strong, powerful dog with a natural instinct to please, the Bullmastiff is another breed well suited for families, according to the AKC. Though they’ve been successful in agility training and carting, they don’t require much exercise and can live happy in a home or an apartment. They are stubborn, however, and will need consistency in training. A breed that adapts easily to any situation, from living in a home with a big yard to residing in a small apartment with minimal exercise, Pugs are known for being playful, social and willing to please, according to the AKC. While they’re popular companion dogs, they also excel in dog shows. They need minimal exercise and because of their short coats, require little grooming. An excellent city dog because of their size, Chihuahuas are known for being alert and dedicated to their owners. They require minimal exercise and grooming but can be sensitive to cold temperatures. An extremely intelligent breed, they may try to be bold and park to protect their owners, but their toy size make them rather ineffective guard dogs! 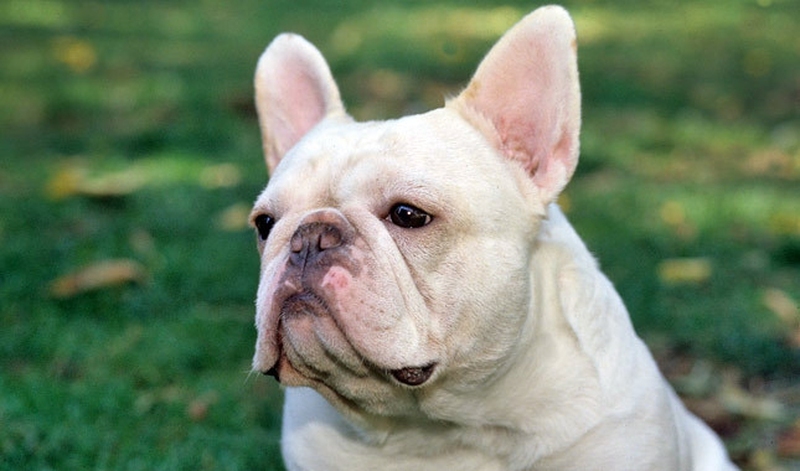 A breed that originated as a companion dog and continues to be used as such today, French Bulldogs are prized for their personable and affectionate nature, according to the AKC. Recognizable by their large, bat-like ears, they are active without being rowdy and are happy to spend their time indoors and on your lap. Because of their short, flat faces, they must be kept cool in warm weather. Though they are small, Pekingese are courageous family dogs. They are independent and intelligent while remaining affectionate and devoted to their owners. Pekingese enjoy walks, but certainly don’t need a large yard or much outdoor space. Because of their long coats, they do require regular brushing to keep them tangle and mat free. An adaptable and easy to train breed, The Cavalier King Charles Spaniel is compatible for city or country dwellers and families with varying degrees of activity. Flexible in their need for exercise, they are happy sleeping with you on the couch or going outside for long walks, according to the AKC. While the breed typically weighs 13 to 18 pounds, many are larger. Moreover, many experts consider Cavalier King Charles Spaniels well suited to families with children. With a thick coat and a muscular build, the Chow Chow is a descendant of ancient China. While they originated as working dogs, they’re primarily found as companion or show dogs today, according to the AKC. According to many experts, they’re about as active as house cats and are happy with a short daily walk. They can be independent and stubborn like cats, too, and require early socialization and training in addition to regular grooming. A loyal and agile breed, the rare Skye Terrier is adaptable and happy to participate in obedience and agility training as much as they are relaxing on the couch. They’ll match their activity level to yours, and will be satisfied with brief walks or a little bit of play on lazy days. Obedient and trusting lap dogs, Shih Tzus are bred to be companions and thrive on attention. They have an upbeat, playful attitude. While they enjoy short walks, they are generally just as happy romping around your home as they would be outside. Because of their intelligence, they can be stubborn and require a strong, consistent hand in training.